Companies that handle multiple projects know how important it is to have a project management software program that allows you to deliver your projects on time and within budget. Trying to rely on email chains, meeting notes, and employee’s memories are a recipe for disaster. If you just need to manage tasks and to-dos, track time, and schedule meetings, BlueCamroo can handle it. If you need something more sophisticated that can manage entire project stages, control sign-offs, manage invoicing, link dependencies, manage resources and more - BlueCamroo can do this too. Like many companies, you may find that you work on the same type of project over and over again. Whether it’s construction projects, website projects, engineering projects or even marketing projects, many businesses repeat the same processes and tasks for different clients. That’s why BlueCamroo created Project Templates for you! Stop reinventing the wheel for every project. BlueCamroo automates the entire process for you, saving tremendous time and ensuring your team follows consistent steps to deliver high-quality services to every client. You can even define the Stages and Milestones of your project, and how each stage depends upon the stages before it. Templates can include all project stages and tasks along with their dependencies, employee roles, client sign-off requirements and stage billing rules. 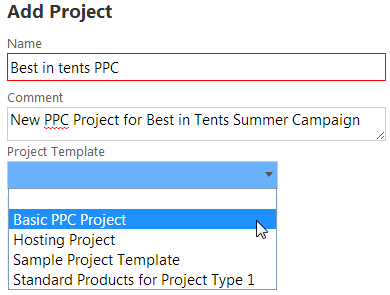 You can also create Project Stage Templates, allowing you to pull in only the stages that you need for each individual project. Need to make changes to an individual project? No problem – once you pull in the Project or Stage Template, you can update and change it as needed. Get your projects up and running in a snap! Project timeline changes are an issue that all project managers deal with. If a project team member is late delivering on a task, how will that affect the rest of the project? Is there enough slack in other dependent tasks to accommodate this change? Can this change be made while maintaining the project due date? If not, can you easily update the due dates for the rest of the project? These are all questions answered with the BlueCamroo Visual WorkBench. 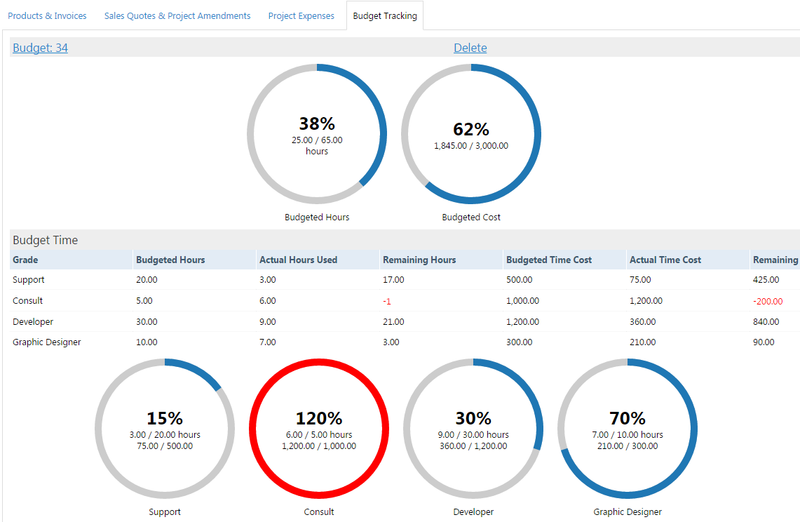 While some systems hold onto Gantt Charts, while others utilize Pert Charts, BlueCamroo has developed a more flexible and practical solution with the Visual WorkBench for Projects. 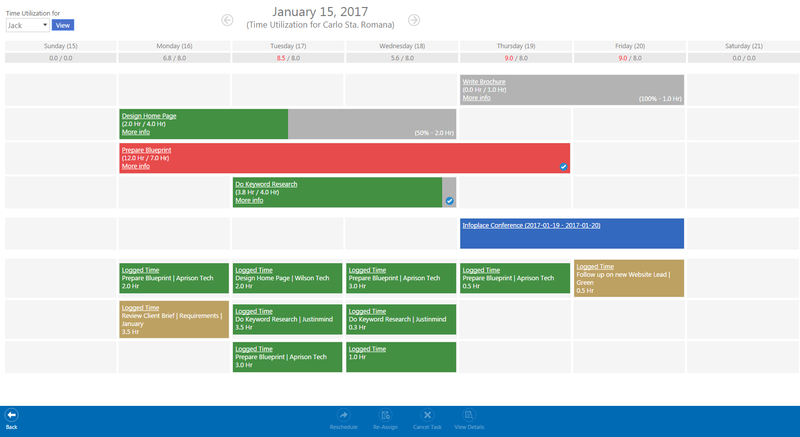 By viewing the unique BlueCamroo Visual WorkBench, project managers can adjust their project schedule and see the impact of those changes before committing to the change and notifying all project team members. You can view the critical path throughout your project to know which tasks should be a priority. This allows you to deal with the changes by adjusting a single task or stage using a free float or task slack, or have the system automatically reschedule the project entirely. The Visual WorkBench helps take the guesswork out of project changes and allows you see at a glance which project stages have started, which ones are completed and what has yet to start. However for those who still use Gantt Charts we still offer Project Timeline. While some project teams have found outside programs to help them collaborate on a project, that solution is not ideal since it keeps all your communications outside of your actual project template. BlueCamroo’s Project Update Stream allows you to post and share updates to team members, customers or suppliers inside the project template, keeping all project communications within the project itself. No need to desperately search your email inbox for communications about a project that may have been sent months before, or log into a separate program just to create project updates and collaborate with team members. BlueCamroo allows you to keep all communications inside your project. Most projects are pretty hard to deliver without fully communicating and engaging with the client. So BlueCamroo provides you with a powerful Project Management Portal that you can make available to your clients. Just set up each client as an "external user" to allow them to log in and view the details of their specific project. You control what they see, and your client an respond to help-desk cases, pay invoices, and sign-off on completed work. With BlueCamroo, you can open up your project communications to keep your whole team - including your clients - on the same page. BlueCamroo Project Management Software offers a powerful task and time management component that enables you to create tasks for yourself and your team members, while also providing a way to track time and record progress on the task. Use Notifications and Reminders to make sure tasks are not missed. Then record your time associated with the task as you add progress and eventually close the task. By recording time against your tasks, you will have an in-depth understanding of how long each task normally takes so you will know how much to budget and charge for each task in future projects. Time is easily recorded when closing or adding progress to a task, posting to an update stream or while updating a case. 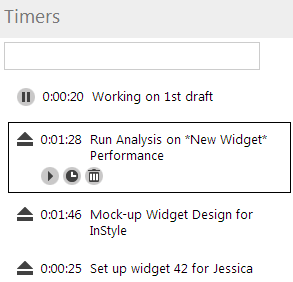 Built-in timers make it easy for each team member to keep track of time spent on activities. You can start and stop a timer right on your browser and then record the time directly to the project. Time logged to specific projects will show up as costs for the Project's Budget. You may not necessarily bill for that time entry, but it is still an internal cost that you incur so you can fully understand the costs associated with your project. Your Projects Budget is automatically updated with every Time entry to the project. 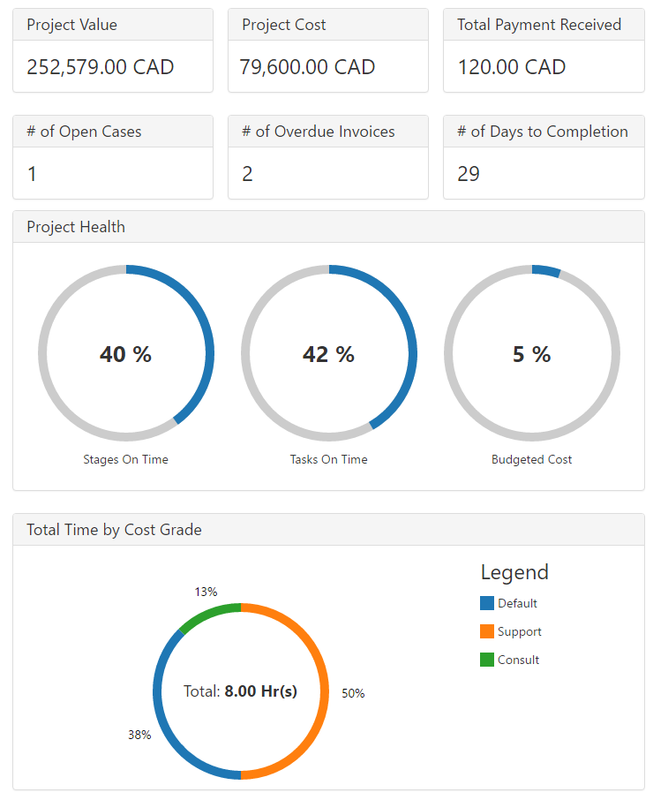 In addition, BlueCamroo project management tasks include a powerful system of accountability management, requiring all assigned tasks to be accepted or rejected by the assignee. It is important to know how much each Project costs you. That's where BlueCamroo comes in! You can build out a Budget for each of your projects and then track all of the costs associated with your projects such as your expenses, supply and product costs, and of course, time logged for the project. Comparing your Budgeted Costs with your Actual Costs will give you the data you need to make informed changes to your project flow or your prices. The most valuable project resource available to you is your team. That’s why you need to have a deep understanding of your team’s time utilization and workload. Resource Management in BlueCamroo gives you the tools you need to track, analyze, and manage your team members’ time. How well utilized is this team member/group? Can they take on additional workload? Are they overburdened and need to be scaled back? Are there any trends in their workload? What tasks have the team members started and finished within the month? How was their overall performance and ability to stay on-time and within budget? 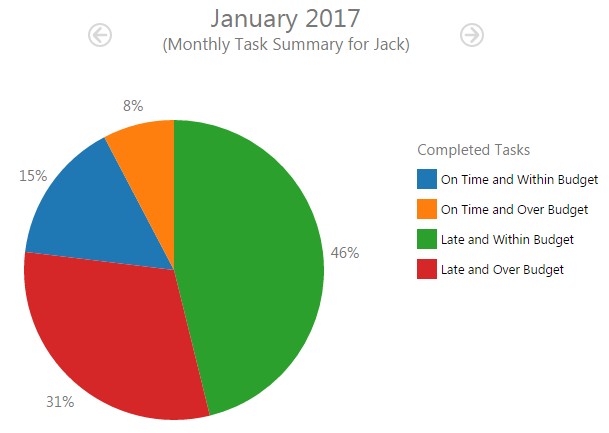 What does the team member's week look like in terms of availability? Where do they have space to take on a new task, if at all? Do any tasks need to be re-scheduled or re-assigned to accommodate an event they must attend? What is the status of a certain task? Do they have any non-work-related events that can affect project delivery? 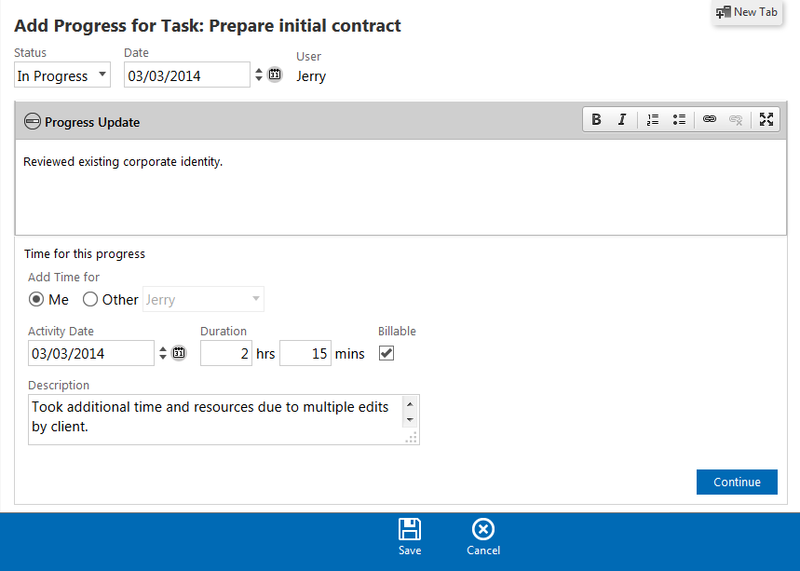 The Action Bar allows you to update your tasks quickly and efficiently. You'll find a customized one on every page in BlueCamroo. ✔ And so much more!